2 upper and 2 lower temperature alarms. ‘Tick’/’Cross’ display shows temperature alarm status. 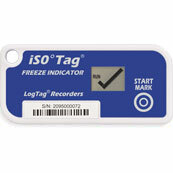 Collect daily minimum/maximum temperature statistics for up to 45 days. Download of statistical data via optional interface. 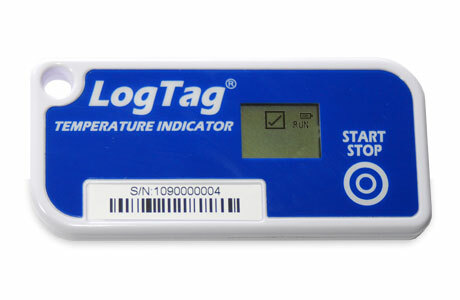 The LogTag® TICT can monitor and record statistics against four factory pre-set temperature limits for up to 45 days, displaying ‘OK’ if environmental conditions remain within limits. If temperatures exceed two high temperature alarm limits or go below two low temperature alarm limits, the LCD shows a ‘REJECT’ alert, indicating the goods require further checking. 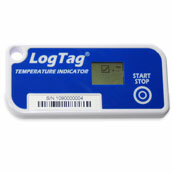 The LogTag® TICT is factory pre-configured for one of a range of monitoring profiles. Special profiles are available on request, subject to conditions. 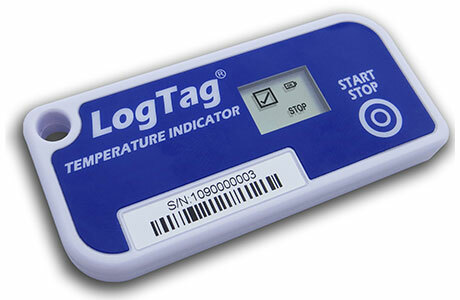 Statistical data can be downloaded using a dedicated LogTag® Interface Cradle and freely available LogTag® Analyzer software. Sensor Measurement Range -25°C to +60°C (-13°F to +140°F). Operating Temperature Range -25°C to +60°C (-13°F to +140°F). Storage Temperature Range 0°C to +40°C (32°F to +104°F). Rated Temperature Reading Accuracy Better than ±0.5°C for -10°C to +25°C. Better than ±1.0°C for +25°C to +60°C. Rated Temperature Reading Resolution 0.1°C for -20°C to +60°C. Sensor Reaction Time Typically less than 7 minutes (T90) in moving air (1m/s). Recording Capacity Minimum & maximum temperature for each of the 45 days. 1st activation of each alarm for each day including trigger time and duration of each event. Please note the TICT does not store each individual temperature reading taken. Sampling Interval Factory pre-set between 1 and 59 minutes; 5 minute interval for profile 0001. Logging Start Options Push button start. Factory pre-set between 1 and 255 minutes; 60 minute delay for profile 0001. Recording Indication OK ✔ = Temperature has remained within the alarm limits. Alarm events Four factory pre-set alarm events, two over temperature and two under temperature. Each alarm event can be instant reject or accumulative reject. It can also be disabled. Battery Life Minimum storage life of 18 months before ‘start’. Minimum accessibility (display) period of 6 months after ‘stop’. Size 71.5mm(W) x 33.0mm(H) x 8.6mm(T).